3rd Test Australia vs India Melbourne: India captain Virat Kohli seems to have become an unstoppable run-machine for India. 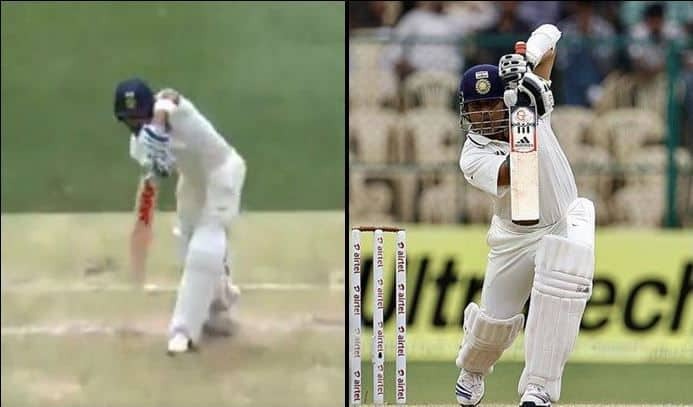 There was a high elbow, and his head was on top of the ball, something Sachin did all his cricketing career, hence the assessment is not all that wrong. Kohli is on 68 and is lookiall setset for his 27th Test century. Meanwhile, at the other end, Cheteshwar Pujara brought up his second Test century of the series and is currently the highest run-getter in the series with over 300 runs already. The two have also stitched a 150-run stand and are looking good for more. India is in the driver’s seat in the third Test and is making the most of the good batting strip.